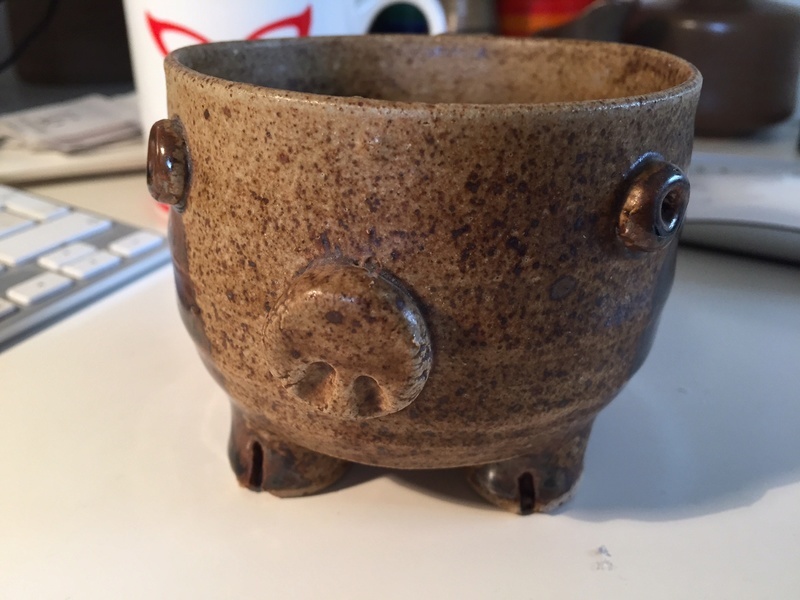 Pottery Pig cup with SM mark - Thoresby Hall Pottery? 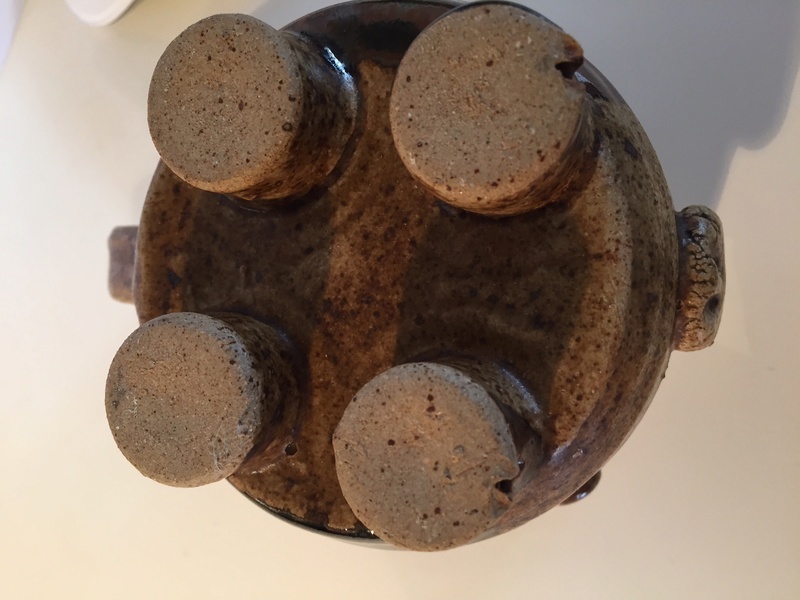 No my usual thing but my 7 year old daughter liked it - not sure what it is. 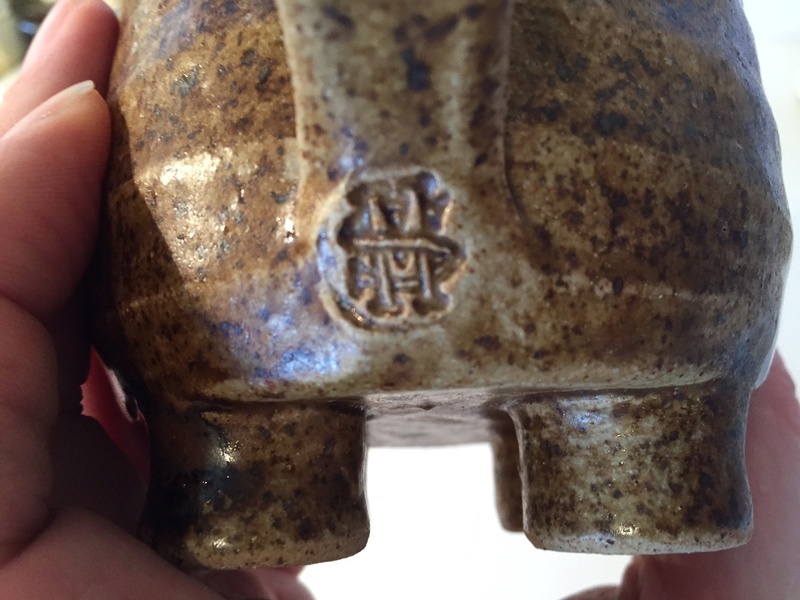 Re: Pottery Pig cup with SM mark - Thoresby Hall Pottery? 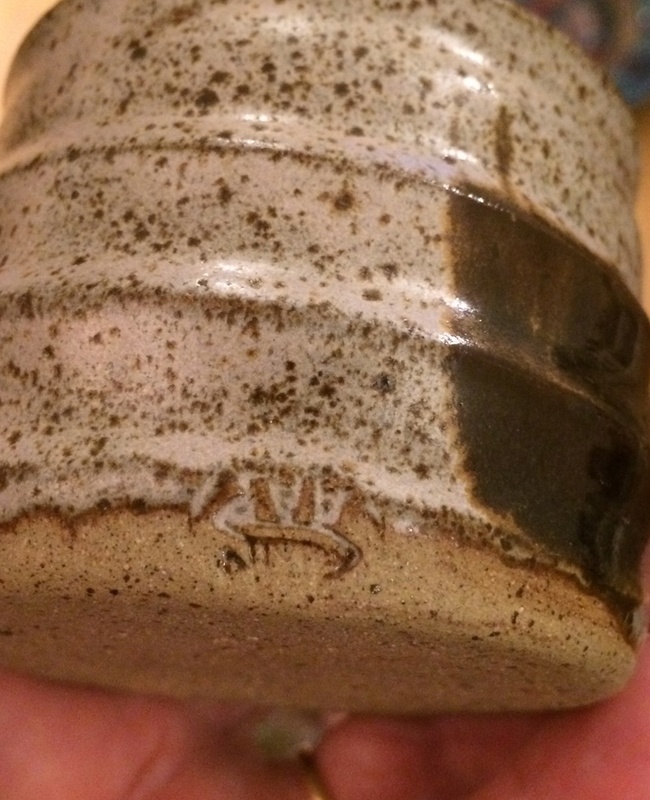 I have a pot with this mark too. Not IDed it yet. 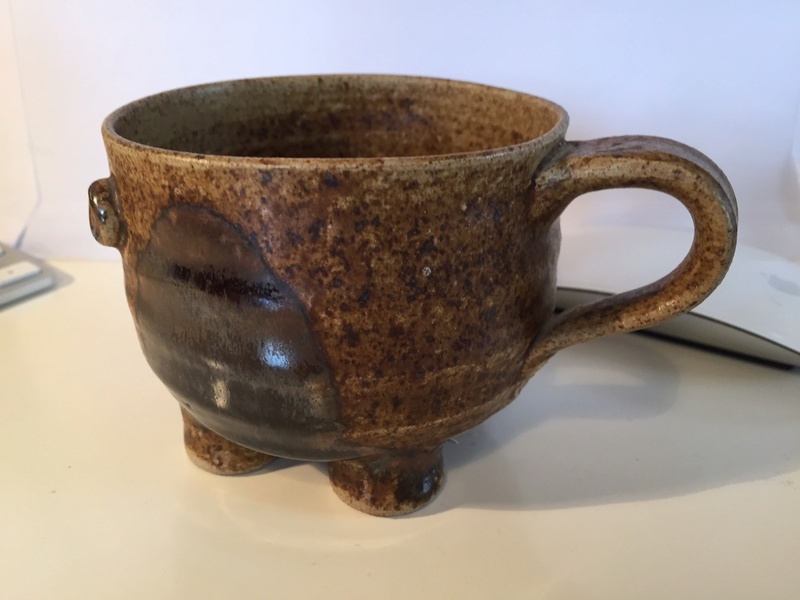 Found this link to a mark in a similar style - could be the same family/studio? Johners2000 wrote: Found this link to a mark in a similar style - could be the same family/studio? 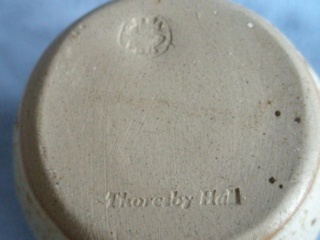 It's not unusual for potters in the second half of the 20thC to have a gothic or Victorian style monogram. I assume there was a company making them at some point. Not the same maker, though, sorry.